Khachatur V. Manukyan, a Research Assistant Professor in the Department of Physics and the Nuclear Science Laboratory, co-authored a major review of recent advances in the study of complex combustion processes that enable the fabrication of a wide range of nanoscale materials. The processes have application to advanced materials for energy technologies such as rechargeable batteries, supercapacitors, and materials for solid-oxide fuel cell; catalysts for emission control and organic reactions; semiconductors and optical materials; thin films; and nano-ceramics. 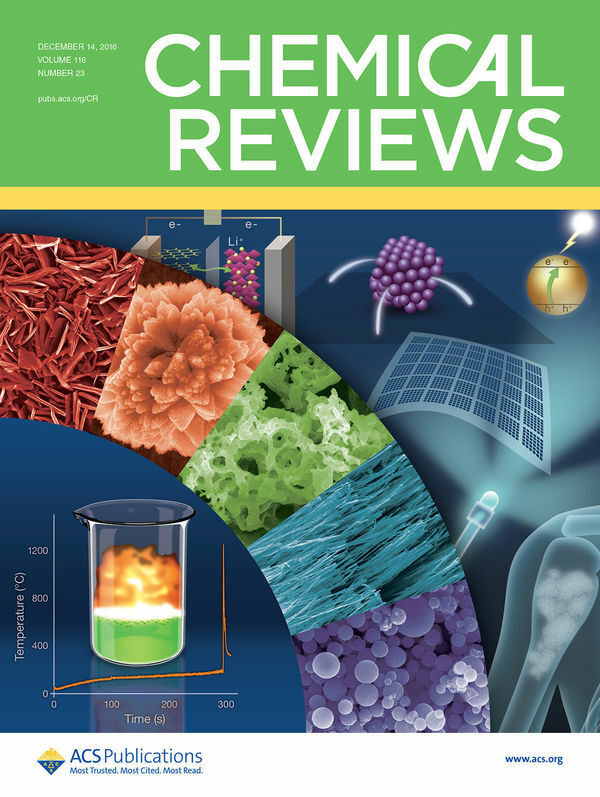 The 72-page review, “Solution Combustion Synthesis of Nanoscale Materials,” was published by the American Chemical Society’s highly-respected Chemical Reviews online in September and in its monthly print journal in December with a cover image related to the project. The review cites 792 published papers. Co-authors, in addition to Manukyan, are Arvind Varma of Purdue University, formerly of Notre Dame; Alexander S. Mukasyan of Notre Dame’s Department of Chemical & Biomolecular Engineering; and Alexander S. Rogachev of the Institute of Structural Macrokinetics and Material Science and the National University of Technology in Russia. Solution combustion synthesis (SCS) of materials was, in the mid-1980s, using components on a molecular level mixed in aqueous solutions at relatively low temperatures rather than high-temperature synthesis using larger particles. Research in the field has intensified in recent years—of the 5,000 articles on SCS published in the past 20 years, 650 were published in 2015 alone. The co-authors, who worked nearly two years on the project, divided high-profile papers among themselves and organized the review under the headings Classification of SCS Reactions, Fundamentals of Solution Combustion Synthesis, Microstructural Characteristics of Combustion-Derived Nanomaterials, and Solution Combustion-Derived Materials. The review discusses prospects of SCS for processing nanoscale materials and potential commercialization pathways. Because the synthesis is rapid, sophisticated controls are necessary to produce desired structures and shapes. Manukyan’s own research focuses on understanding the process and control mechanisms of exothermic (combustion) reactions in condensed matter and fabrication of nanoscale materials for catalytic systems, magnetic materials, thin films and coatings, etc. Manukyan, who came to Notre Dame in 2010 to work with Mukasyan and joined the Department of Physics in 2013, has published some 60 research articles in this and other fields. He is an editorial board member of International Journal of Self-propagating High-temperature Synthesis. The article is available at http://pubs.acs.org/doi/abs/10.1021/acs.chemrev.6b00279. Originally published by Gene Stowe at science.nd.edu on December 19, 2016.